And that's only one of the burning questions we still have about the Alibaba IPO. Here's everything about this massive public offering that we're keeping an eye out for answers to. The Exact Alibaba IPO Date: Late last week, The Wall Street Journal reported that Alibaba will be waiting until after Labor Day (Sept. 1) to hit the market. Previously, reports had suggested that Alibaba could make its public debut on Aug.8, which was later pushed back to mid-August. But according to The Journal, Alibaba prefers to wait until September, which it views as a busier month for initial public offerings. 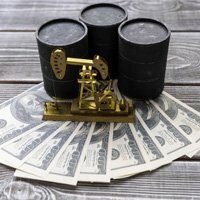 No official date has been announced, and investors should not expect to know the definite date for several more weeks. Typically, companies announce their final IPO date late in the IPO process, so the recent delay is not surprising. 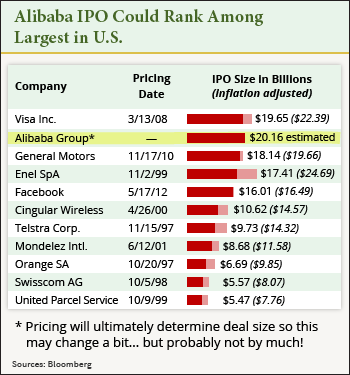 The Record-Breaking IPO Price: Analysts have been estimating the size of the Alibaba IPO, and numerous projections place the deal over $20 billion. That would surpass the $19.65 billion of Visa Inc. (NYSE: V) for the largest IPO in U.S. history. Even the most conservative estimates have Alibaba raising at least $16 billion, which would outraise the 2012 Facebook Inc. (Nasdaq: FB) record for largest Internet IPO. When Alibaba filed its prospectus, the company said it plans to raise at least $1 billion, but that figure was just a placeholder. The company should release more pricing information as the IPO date draws closer.